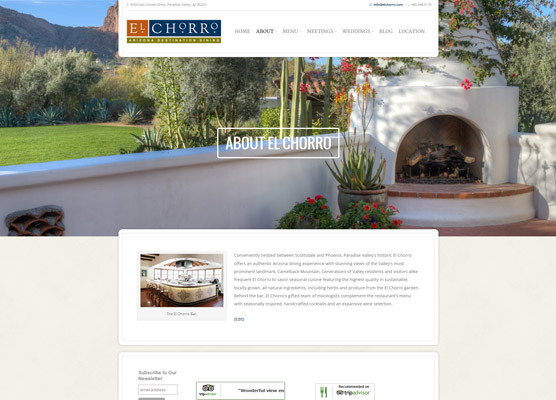 El Chorro first engaged etainia to take over and redesign their website in 2011 when we launched their first WordPress-based website. 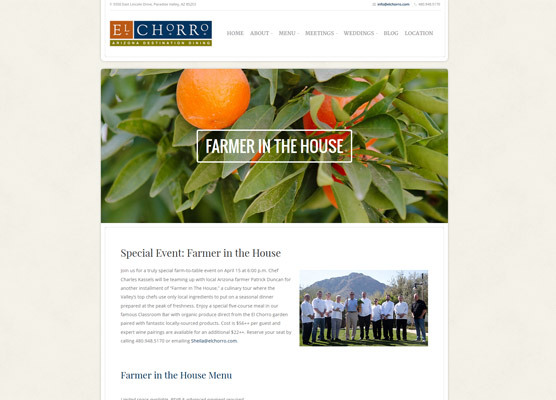 While this site was a collaboration with another advertising agency, for the latest version of their site launched in March 2015 etainia was given the design lead. 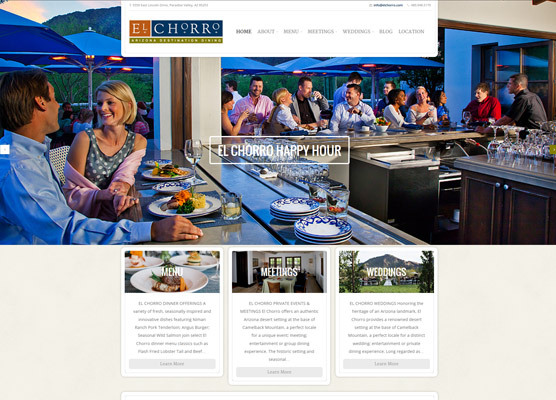 With an emphasis on great photography of their food, drinks and historic location – the new site is immersive, drawing the visitor in with mouth-watering visual delights. 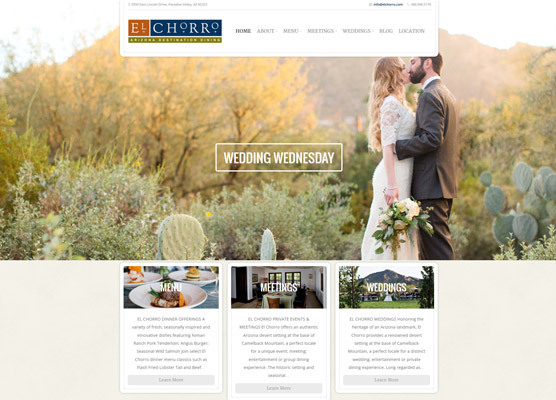 Equal emphasis was given to both wedding and meeting offerings – an important part of their business. OpenTable’s booking widget was embedded in the site along with TripAdvisor reviews and social media hooks. 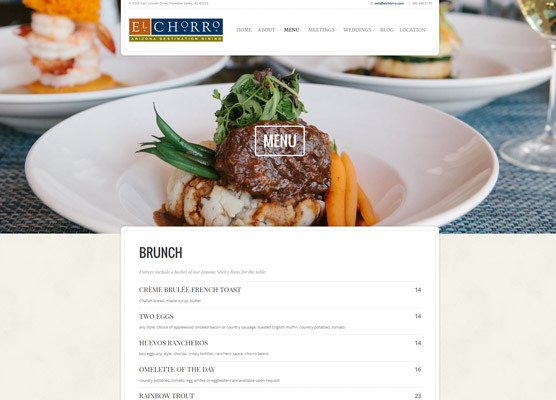 The new “blog” brings their special offers and event to the font and center of their of their home page.